Following on from the Queensland University of Technology (QUT) recommendations released in February 2017, a further 64 “final” recommendations have been released in a recent announcement made by Attorney-General and Minister for Justice and Minister for Training and Skills, The Honourable Yvette D’Ath. The report focuses on procedural issues under the Body Corporate and Community Management Act 1997. Of the 64 recommendations, 21 suggest no changes! To give you an indication of the actual changes recommended, we have summarised these into procedural areas of General Meetings, Committees, Notices, Disputes and General. Highlights of the General Meeting changes focus on deemed service of notices taking into account postage, practical ways to deal with insurance renewal which many strata managers currently adopt, clarifying what it takes to form a quorum and simplified ways to proceed with meetings when a quorum is not achieved. There are also some practical measures proposed for first and second AGM’s relating to original owner obligations. For Committees, a few of the anomalies within layered schemes are to be remedied along with an update of the code of conduct regarding influence of election and motion outcomes by non-voting Committee members. 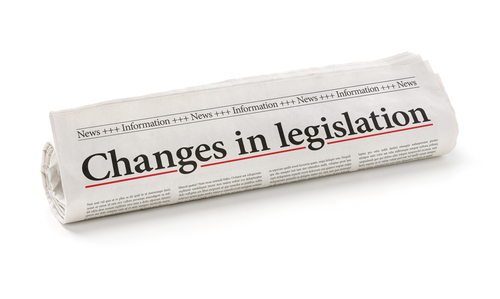 Notices will now include email address for service bringing the legislative provisions into the 21st century. Common seal use is also to be removed as another modernisation of the legislation. Adjudicators will also have an increased ability to award cost orders for frivolous and vexatious applications likely in an effort to stamp out unreasonable applications and allow the Commissioner’s office to focus on providing quality education to the strata community. Well that’s the short version. We have a longer version below summarising each recommended change and a link to the full QUT report at the end along with details of how to submit feedback. In terms of when if ever these changes will become law, who knows! Let’s wait and see what happens at the next state election and if the elected government are brave enough to back the long overdue update. Change of financial year is to be permitted once every 5 years without the need for an adjudicators order. Service of notices is to be changed within the regulation modules so that notices are deemed to be received when sent by post after four business days and next business day for electronically sent notices. Insurance renewal is to be a statutory AGM motion authorising the Committee to renew the terms before the next AGM when similar to the current policy approved or enter new terms as decided by the Body Corporate. The decision will require ratification at the next AGM and if not ratified, an EGM called to consider new quote/s before cancelling the existing policy. Quorums are to be clarified so that owners with multiple lots are counted as voters for each lot, valid proxies held are counted in addition to any other lot the proxy holder represents and; un-financial representatives are counted. Meetings proceed 30 minutes after the start time even if a quorum is not reached and the resolutions made be treated as provisional for up to 28 days. The 28-day time frame will allow the current 21 day circulation period for minutes to be distributed and a further 7 days for additional votes to be cast on the motions and tallied adjusting the result accordingly. Being personally present is not required to form a quorum provided the various other current and/or proposed future requirements are completed. Major spending limit is to be increased to the lesser of $1,100 per lot or $20,000. The other existing provisions for major spending will still apply. all schemes have an express ability to restrict the use of proxies for particular things or all together by a special resolution of the body corporate in a general meeting. a 5 year administrative fund forecast. Furthermore, failure for the original owner to comply will the above, including calling the first AGM, will now mean they will be a party to a dispute under the BCCM Act. Second AGM – A motion to decide if an independent building defect assessment is to proceed will need to be considered. Committee spending below the major spending limit will require one quote as a minimum or a maximum price set when approving. Committee positions for layered schemes is to be changed to be at least one representative for each subsidiary scheme. Resident Managers are to continue to be non-voting Committee members. Although this is not a change, we thought the matter is worth a mention for public interest. Secret ballots are to be used for deciding the Committee Members unless approved by Ordinary Resolution not to under the Accommodation Module. Schemes with three or more lots but only three owners will automatically be elected to the Committee unless an owner opts out. Those owners decide between them, which positions they ae to hold and if they cannot agree, the positions are to be jointly held. Removal of a voting Committee member is to be by Ordinary Resolution only and the member to be removed will have the right to circulate a statement to owners during the meeting notice period, speak at the meeting before votes are cast and may dispute the decision. After removal, the member will not be eligible to renominate for up to two years with the prohibition period decided when removal is approved. Committee code of conduct to be updated to require voting members to remain financial and specifically state that benefits cannot be received from service contractors unless disclosed and approved to proceed with the service contractor engagement by the Body Corporate. Code of conduct for body corporate managers to also apply to caretaking service contractors and include a provision to prohibit attempts to unfairly influence the outcome of motions. Committees are required to reasonably consider owner motions submitted to them at the next meeting when reasonably practical. Committee voting outside of meetings is to lapse if not decided within 21 days of the notice being issued. Notice of opposition to Committee decisions currently in the Standard Module is to be expanded to all Regulation Modules. Committee spending limits for all modules except for Commercial is to be set at $500 per lot up to a maximum of $20,000. Definition of address for service of notices to include email address nominated by the lot owner and will be deemed as effected when served at the address notified by the owner. Change of address for service of notices will become an owners obligation to advise the Body Corporate. Voluminous notices too large for email will be accessible by alternative methods decided by the Body Corporate and notified to the owner who has nominated electronic service of notices. Hard copies of notices will not incur additional fees for owners who choose to receive notices other than electronically. Layered Schemes – A lot owner in a subsidiary scheme will be recognised as a when making a dispute application against a principal body corporate (PBC) to the extent of access to records and enforcement of the PBC by-laws. Adjudicators applications will be made available electronically to owners by the Body Corporate provided instructions on how to access the document is provided. Hard copies will need to be provided to any owners who choose to receive notices other than in electronic form or specific request a hard copy. Costs orders and the ability for adjudicators to award costs are to be increased when the applications are found to be frivolous and vexatious. Common seals are to be abolished. Body Corporate address for service recorded with the registrar will become an obligation of the Body Corporate to promptly update and when a Body Corporate Manager is engaged, they will be jointly liable for compliance with this requirements. If it has not been updated, service will be effected at the address of the scheme itself. The education and training functions of the BCCM Commissioner is to continue in support of the growth of the community title sector within QLD. These functions have been deemed necessary for lot owners to benefit from a high level of quality information and education keeping the community informed of their rights, obligations and legislative changes if and or when they are introduced. A full copy of the QUT report can be found HERE. You are invited to have your say by providing feedback before the consultation closing date of 6 October 2017 by providing a written submission via email to: QUTreviewBCCM@justice.qld.gov.au or by post to QUT Review-BCCM, C/- Office of Regulatory Policy, Department of Justice and Attorney-General, GPO Box 3111, Brisbane QLD 4001. This article was contributed by Grant Mifsud of Archers the Strata Professionals. In the recommendations I did not see that if 75-80 percent of owners want to sell to a developer or party that they will be able to rather than a hundred percent at the moment. It’s disappointing that the sections of the BCCM act 1997 that allow non transparent conduct to flourish in layered schemes hasn’t been addressed. Including, but not limited to ………………..
Long standing committees acting in a manner which is not in the best interests of all residential and investor owners alike by. – Current proposed changes make no reference to conflict of interest matters in regards to layered schemes which include a sizeable component of retail lots. Where by a PBC Chair not be employed by the owner of the Retail Lots in one of his/hers retail businesses. Thus avoiding the potential of a conflict of interests, in regards to BMS committee decisions.